Your job is to be at Charles de Gaulle (CDG) airport in Paris by 10am Friday morning, May 22, 2015. 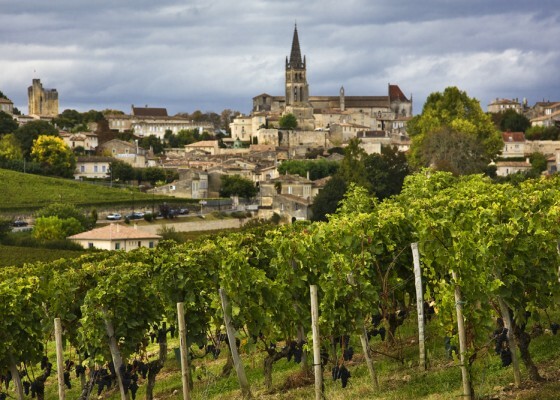 My job is to get you from there (via Luxury Coach – aka “the bus”) to Champagne where we will visit 6-7 Champagne houses (J.P. Marniquet, Louis Sacy, Perrier-Jouet, Bonnaire, Bollinger, etc. ), eat and drink well, and stay at the five-star Hostellerie La Briqueterie. 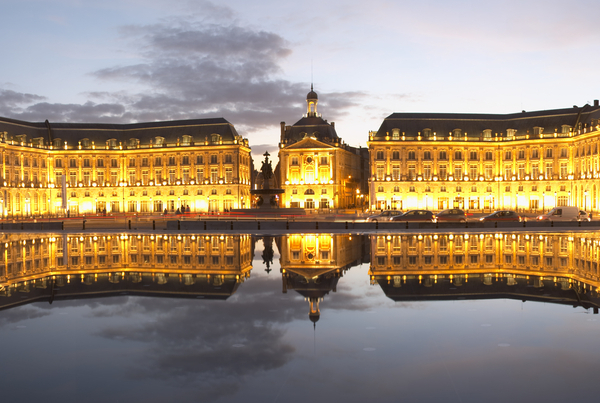 On Sunday, we’ll take a train (TGV) to Bordeaux where we will be staying at the four-star Pullman Hotel Bordeaux Lac located on the north-side of the city where we will have easy access to all the roads leading to the chateaux. Monday and Tuesday will find us in the Medoc (Margaux, St. Julien, Pauillac, and St. Estephe) visiting the likes of Leoville Barton, Leoville Poyferre, Batailley, Cantenac Brown, Pontet Canet, Pichon Baron, Pichon Lalande, Calon Segur, Montrose, Pontac Lynch, Senejac, Branaire Ducru, etc. On Wednesday we’ll be in Pessac Leognan and Sauternes visiting properties such as Smith Haut Lafitte, Carbonnieux, Coutet, Haut Bailly, etc. On Thursday and Friday, we will be on the Right Bank visiting the likes of Croix St. Georges, Vieux Ch. Certan, Figeac, Canon La Gaffeliere, Laplagnotte Bellevue, Canon, Daugay, Pavie MacQuin, and Puygueraud. Saturday will be a mix of wine and tourism with a concluding dinner. Each day in Bordeaux will include breakfast at the hotel and lunches and dinners, mostly at the chateaux. Sunday morning will bring an early morning flight back to Paris to fly home that day. Once you are on the plane from Bordeaux to Paris (or not if you chose to extend your trip), my job is done. We will leave the hotel about 8:30-to-9am each morning and will return after dinner by about 10:30-11pm (unless we are dining at the hotel). This is a wine intensive trip with unusual access to great properties and their wines. Sarah Donaho of Frosch Travel and I are teaming up to get the hotels, transport, meals, logistics, and most importantly winery visits coordinated. From lunch on Friday May 22 through dinner on Saturday May 30, all meals and wines are included. We should have the budget completed in the next 7-10 days. All of the payments will be through Frosch. At this time, my educated guess is that the cost (double occupancy) will be under $5000 per person (Airfare to/from France not included). The single supplement likely will be in the neighborhood of $900. This trip will be limited to 30 total travelers (including me). Inquiries should be directed to BearDalton@mac.com and sarah.donaho@frosch.com. Sometimes we forget about the classics. We get caught up in the buzz about the new or the different and forget about the things that established our interest in a category in the first place. It is at that point that Dr. Samuel Johnson’s idea that people don’t need to be educated nearly so much as they need to be reminded best serves us. In the category of Champagne, please allow me to be your Dr. Johnson for the day. Here is one of those classic, defining, doing everything right sort of wines: Krug Grand Cuvee. A 12.5% alcohol blend of 37% Chardonnay, 44% Pinot Noir, and 19% Meunier with some barrel aging and lots of reserve wines. Oldest wines in the blend are from the 1990 vintage and the youngest from 2005. The cuvee spent over 7 years en tirage (on the yeasts). Every bottle has a blend, disgorgement, and bottling information code on the back that can be scanned or entered into the App or Web Site. This sample was disgorged in the winter of 2012/2013. Sensory: medium golden straw in color, fully sparkling; dry, medium-full-bodied with fresh acidity and scant phenolics. Citrus and peel and red fruit with toast and lots of mineral. Real depth and richneess while still fresh and ALIVE. Yum. Great Champagne and great food Champagne. BearScore: 96. Both of these classes will be held at l’Alliance Française, the French cultural center in Houston. Located at 427 Lovett Blvd. (Houston, Texas 77006), l’Alliance Française is on the southeast corner of Lovett and Whitney (one block south of Westheimer and two blocks east of Montrose). In 1988, Bear Dalton began teaching wine classes at l’Alliance Française. Those classes evolved into the Wine School at l’Alliance Française. Throughout the year (generally at least twice a month), the Wine School offers classes on such diverse topics as Bordeaux, Burgundy, the Rhone, Zinfandel, Cabernet, South America, the Basics, and many more. Since 1996, Bear Dalton has been the corporate fine wine buyer for Spec’s Wines and Spirits. He has over 35 years experience in the wine business (wholesale, retail, restaurants, and national distribution) and has been a wine educator since 1994. He buys, tastes, drinks, sips, spits, teaches about, reads about, writes about, eats, sleeps, and dreams wine. For more on Bear, go to https://bearonwine.com/about-2/about/. On Monday, December 15th at 7pm, please join me, Bear Dalton, at Charivari Restaurant for our 2014 Holiday Wine Dinner featuring wines from Champagne, Jerez (Sherry), Burgundy, and Bordeaux as well as a 1966 Colheita Port, all paired with Chef Schuster’s holiday menu. This Holiday Wine Dinner will cost $220.00 per person including a 5% discount for cash or check or $$231.58 regular. All taxes and tips are included. Attendance at this dinner is strictly limited to 22 people (including me). For reservations, please call Susan Coburn at 713-854-7855 (or email BearDalton@mac.com).